West Shore Community College is committed to providing safe and secure environment for its students, employees and community members who use the facilities. West Shore Community College is responsible for reporting the number of criminal offenses committed on campus on a yearly basis. In the event that an employee of West Shore Community College becomes aware of a criminal action or other emergency occurring on campus, it is the employee’s responsibility to notify the proper authorities. During NORMAL SWITCHBOARD HOURS, the operator should be the first one notified (dial “O”). The operator will take the necessary information and make any necessary notification. When there is not an operator on duty, individuals should dial 911 for ambulance, fire, or Mason County Sheriff. In addition to notifying the appropriate agency, the WSCC Physical Plant Department should be notified via its radio connection (dial 843-9608). Reports of criminal actions or other emergencies should also be reported, within 24 hours, to the Vice President of Administrative Services using an incident report form. All reports will be thoroughly investigated by the Vice President of Administrative Services. Local law enforcement agencies will be involved when necessary. Violations of West Shore Community College regulations, campus standards, and/or policies by students or employees will be handled in accordance with the appropriate disciplinary procedures. Violations of city/local ordinances and regulations by students, employees and others will be referred to the appropriate enforcement authority for action. The Vice President of Administrative Services will maintain all records of reports of alleged offenses, investigations and action taken.  The Security Policy and Annual Report will be posted on the campus information bulletin boards in the Campus Center and on the college website. West Shore Community College has developed a Drug Prevention Program in accordance with the Drug-Free Schools and Communities Act Amendments of 1989, and has developed a Drug-Free Workplace policy (WSCC Policy #2021). The Vice President of Administrative Services will maintain a working relationship with the Mason County Sheriff Department and other appropriate enforcement agencies to monitor, record, and act on criminal activity on campus. West Shore has established a crisis response plan to deal with crisis situations and traumatic events. *If any of the criminal offenses or arrests are hate crimes and manifest evidence of prejudice based on Race (R), Gender (G), Religion (L), Sexual Orientation (S), Ethnicity (E), or Disability (D) – such offenses will be identified with the appropriate code.